You'll be £19.99 closer to your next £10.00 credit when you purchase From the Imjin to the Hook. What's this? Order within the next 4 hours, 22 minutes to get your order processed the next working day! The British Army's considerable contribution to The Korean War 1950 – 1953 was largely composed of 'conscripts' or national servicemen. Plucked from civilian life on a 'lottery' basis and given a short basic training, some like Jim Jacobs volunteered for overseas duty and suddenly found themselves in the thick of a war as intensive and dangerous as anything the Second World War had had to offer. As a member of 170 Independent Mortar Battery RA from March 1951 to June 1952 Jim was in the frontline at the famous Battle of the Imjin River. By great luck he evaded capture – and death – unlike so many. He returned to the UK only to volunteer again for a second tour with 120 Light Battery from March 1953 to March 1954. During this period he was in the thick of the action at the Third Battle of the Hook during May 1953. In this gripping memoir Jim calmly and geographically recounts his experiences and emotions from joining the Army through training, the journeys by troopship and, most importantly, on active service in the atrocious and terrifying war fighting that went on in a very foreign place. This is a superb autobiography, well-written and absorbing and taking us into a different part of the army to the other Korean War memoirs I've read. An intimate and personal account...it has the ability to appeal to the casual reader and the student alike. For the casual reader, the narration is straightforward, low on military jargon, with enough action with which to maintain reader interest. A more serious student of the era will not be disappointed as it offers many insights that a more general academic text would not have space to mention. 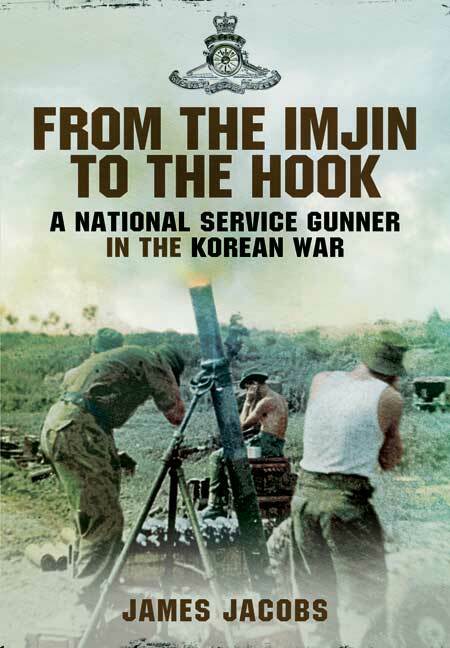 A gripping memoir which recounts the Author's experiences and emotions of someone who fought both at the Imjin River and Hook battles. A very readable demonstration of how formative an experience National service could be. The British Army’s considerable contribution to the Korean War in 1950 involved large numbers of ‘conscripts’ or national servicemen. Plucked from civilian life on a lottery basis and given a short basic training, some of these men, like Jim Jacobs, volunteered for overseas duty and suddenly found themselves in the thick of a war as intensive and dangerous as anything the Second World War had had to offer. 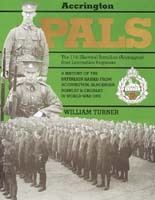 As a member of 170 Independent Mortar Battery RA from March 1951 to June 1952, Jim was in the frontline at the famous battle of the Imjin River. Jim Jacobs was born in 1932 in Sussex. He was called up in 1950 and bored with home-based military life volunteered for overseas duty. Unusually after one tour in Korea he re-enlisted and is one of the very few who fought at both the Imjin River and Hook battles. After leaving the Army he emigrated to Australia but returned to England after 22 years. He and his wife live at Fareham, Hampshire.